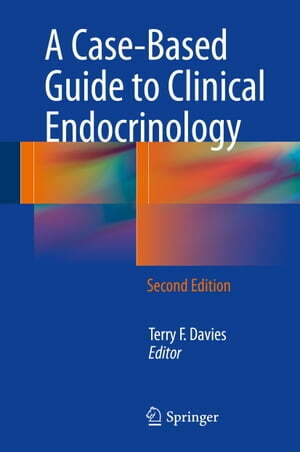 Collins Booksellers - A Case-Based Guide to Clinical Endocrinology by Terry F. Davies, 9781493920594. Buy this book online. In A Case-Based Guide to Clinical Endocrinology, Second Edition, a renowned group of distinguished clinicians once again provides stimulating instruction and insights into a wide variety of endocrine topics, teaching readers modern management of the conditions described and offering targeted entry into the literature. Importantly, many of the important elements in the current curriculum for clinical endocrine training as recommended by the Association of Program Directors in Clinical Endocrinology, Diabetes and Metabolism are covered in this text. Thoroughly updated, this new edition not only covers new treatment approaches but also emphasizes the latest investigative advances in both imaging and molecular diagnostics. To reinforce learning and retention of knowledge, a question-based approach is used in many of the case studies. Students, residents, fellows, and practitioners will find this reference to be an efficient way to review their understanding and increase their skills and abilities in patient investigation and management. An invaluable contribution to the field, A Case-Based Guide to Clinical Endocrinology, Second Edition, offers the same comprehensive volume of thought-provoking case-studies that made the first edition of significant importance to all clinicians who treat patients with endocrine disorders.